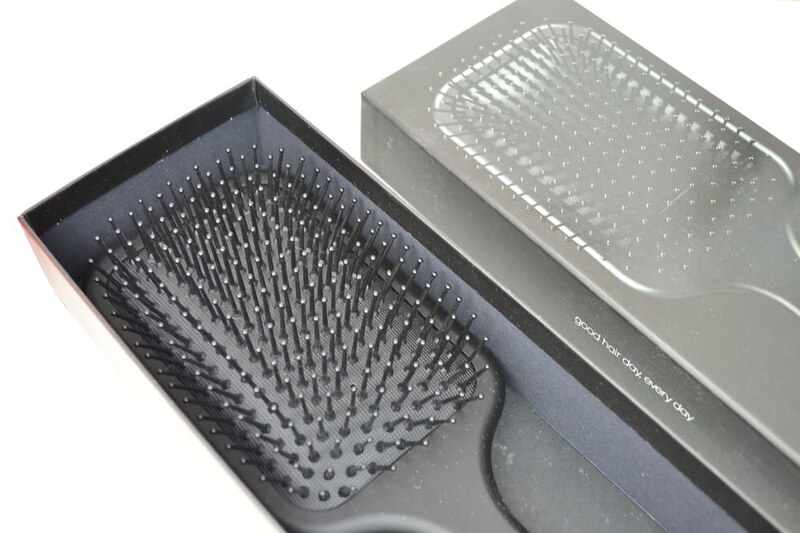 ghd is considered to be one of the best haircare brands in the beauty world and I’m a huge fan of the brand itself but weirdly had no idea about this brush until a couple of weeks ago! This makes brushing my hair an absolutely pleasure, it doesn’t pull or tug, instead what it does is glide through my hair like a knife to butter – my hair is soft, smooth and the overall texture has improved! The brush itself feels lovely and soft too – slightly heavier than plastic brushes but for me it’s all about the quality and this feels great. I really love this hairbrush and didn’t think I would get this happy and recommend a hairbrush this much BUT the attention to detail that ghd has payed is wonderful. You can really notice a difference between cheaper brushes and this, I mean just look at the fact that the end of the brush has a silver engraved ghd logo….. This is priced at £34.65 and can be purchased by clicking HERE from Sephora (US) – yes it’s pricey but you have to think that the quality of this is incredible and unlike any other hairbrush I own – I mean that! For the UK you can purchase this for £20 by clicking HERE and ordering from Selfridges! Next Post Why you SHOULD use blush! Great product!! I want to try it! It seems really good. I could give a shot. I need a new brush and we need to invest in good products for our hair, right? How funny:). I just grabbed the brush from h&m look similar with the one here.:). I love the shape of this trendy brush so cute:). I wasn’t be able to stopped by since the last visited, lol so sorry about that. not that I don’t care but so hectic over here:). hope you’re doing well:). I have to try this looks amazing!